A brave new world: is human genome editing morally permissible? The discovery of the CRISPR/Cas9 genome editing tool poses ethical questions about eradiating inherited diseases versus creating so-called 'designer babies'. Pippa Sipanoun, who undertook a masters degree in medical ethics and law, examines ethical and clinical arguments for and against. Use of the CRISPR/Cas9 genome editing tool poses ethical questions about eradiating inherited diseases versus creating so-called 'designer babies'. Pippa Sipanoun, who undertook a masters degree in medical ethics and law, examines ethical and clinical arguments for and against. 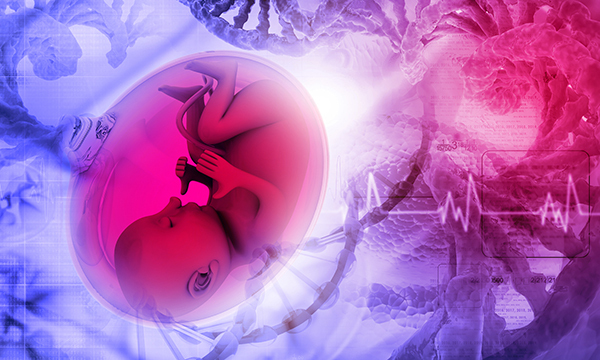 Human applications of CRISPR/Cas9 germline editing therapies (CGETs) – human genome editing – have the potential to be used for preventing babies being born with serious genetically inherited diseases. However, worries exist that CGETs have the potential to be used to engineer ‘desirable’ traits into babies, therefore giving rise to the possibility of non-therapeutic modifications and enhancement of human beings, which might allow a slide towards eugenics. This article examines three relevant issues briefly – crossing the imaginary line of moral permissibility, procreative liberty and the expressivist objection. There has been a long-standing consensus among western governments that human germline manipulation is a line that should not be crossed but where do we draw the line of moral permissibility? (Lander 2015). Glover (2006) suggests that, to the extent which selection is possible, procreative liberty should include the choice to have a child without a disability. However, it is difficult to distinguish between how far procreative liberty extends and how to differentiate between preventing and causing harm. Parents have a moral imperative to edit the human genome to reduce harm and suffering, and they are morally obliged to use such genetic technologies to enhance their children which goes beyond therapeutic modifications for the prevention of disease (Harris 2015, Savulescu 2001, Sparrow 2007). Savulescu (2007) argues that parents are morally obliged to produce the best children possible by whatever technological means are available to them; a term Savulescu calls ‘procreative beneficence’. Savulescu’s views are met with resistance from proponents of the expressivist objection. The view that prenatal diagnosis (PND) disvalues the fetus, but also conveys a message to disabled people that, if great lengths are taken to avoid the birth of someone with a certain disease or disability, it undermines them as a valued member of society (Glover 2006, Edward 2004, Shakespeare 2015, Parens and Asch 1999). Supporters of the expressivist objection argue that what makes selecting against disability wrong is the damaging message that the world would be a better place if those with disabilities did not exist (Wilkinson 2010). Wilkinson (2010) argues it is possible to disrespect a disease while valuing the life of the individual suffering from it; therefore, selecting against disability does not necessarily send out a morally problematic message if done for defensible reasons, such as preventing harm and avoiding suffering. However, attempts to eradicate diseases could be perceived as attempting to improve the gene pool, with connotations associated with eugenics. Fukuyama (2003) contends that preimplantation genetic diagnois is the start of giving parents more control over the genetic make-up of their children. This could lead to not only use CGETs for therapeutic purposes in ‘editing out’ certain diseases from the human genome, but also to ‘edit out’ or avoiding certain traits. If editing out certain traits, then children can be created with desired traits. Are these so very different from each other? These debates are among many important issues that require ongoing thought and open discussion in an ever evolving ethical and biotechnological arena for the benefit of future generations. Edwards S (2004) Disability, identity and the “expressivist objection”. Journal of Medical Ethics. 30, 418-420. Fukuyama F (2003) Our Posthuman Future: Consequences of the Biotechnology Revolution. Profile Books, London. Glover J (2006) Choosing Children: Genes, Disability and Design. Oxford University Press, Oxford. Harris J (2015) Germline manipulation and our future worlds. The American Journal of Bioethics. 15, 12, 30. Lander ES (2015) Brave new genome. The New England Journal of Medicine. 373, 1, 7. Parens E, Asch A (1999) Special supplement: the disability rights critique of prenatal genetic testing reflections and recommendations. The Hastings Center Report. 29, 5, S1-S22. Savulescu J (2001) Procreative beneficence: why we should select the best children. Bioethics. 15, 5, 414. Savulescu J (2007) In defence of procreative beneficence. Journal of Medical Ethics. 33, 5, 284. Shakespeare T (2015) Gene editing: heed disability views. Nature. 527, 7579, 446. Sparrow R (2007) Procreative beneficence, obligation, and eugenics. Genomics, Society and Policy. 3, 3, 43. Wilkinson S (2010) Choosing Tomorrow’s Children: The Ethics of Selective Reproduction. Oxford University Press, Oxford.